Back in October 2018, the German government proposed their first step in changes to the country’s scrappage schemes. They have introduced a programme of retrofits and manufacturer scrappage schemes in order to help get older diesel vehicles off the roads. It’s all part of a scheme to help improve air quality, supported by a number of cities in the country banning diesel vehicles. These retrofits will be introduced on a city by city basis – diesel vehicles in the 14 German cities with the poorest air quality will become eligible for a hardware upgrade, or owners will be offered a trade-in incentive for their diesel car. This is very similar to the scrappage schemes we currently have in the UK. Daimler, parent company to Mercedes, has backed the proposals offered by the government and has given the retrofit the go-ahead. They are also offering up to €10,000 discount on new cars under the scrappage scheme, which is equal to £8,900. BMW is also offering a discount of €6,000 (£5,300) in their scrappage scheme, while Renault is matching Daimler with €10,000. What is the rest of Europe doing? Here in the UK, we’ve already had a round of scrappage schemes offered by a number of manufactures, all with the aim of removing older diesel cars from the UK’s roads. However, government intervention hasn’t yet taken place – only drivers of new diesel cars will be penalised by road tax changes. Other European countries ahead of the curve when it comes to scrappage schemes include France, Italy, and Romania. 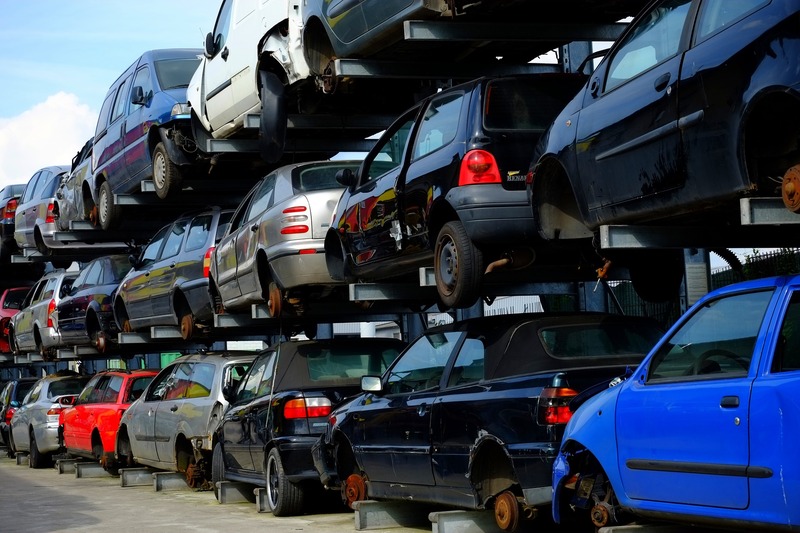 France has expanded its former scrappage scheme, launched in 2014, since it had become oversubscribed. Under the scheme, drivers of older diesel cars are eligible for a discount of €3,700 (£2,765) against the price of a new electric vehicle and €2,500 off a new plug-in hybrid if the driver is also scrapping a diesel vehicle that is over 13 years old. There are also eco-bonuses available for both electric vehicles and plug-in hybrids. Romania has been offering a car scrappage scheme since 2000, which combines car dealers with government support to offer customers a 6,500 lei (1 euro = 4.2 lei) discount if the diesel car is older than eight years. Italy’s scrappage scheme only ran until 2010 but during that time they offered incentives depending on the level of vehicle emissions. Looking to scrap your diesel car? If you’re looking to scrap your car in the UK, many leading manufacturers offer Diesel Scrappage Schemes when you trade in one of their cars. When considering schemes, you’ll need to think about which is the most suitable to your requirements and circumstances, as well as which one offers the best deal. It’s also crucial to remember that some scrappage schemes in the UK will expire after a certain amount of time. Additionally, most schemes from big manufacturers will depend on you buying one of their new cars when you scrap your old one. If you’re looking for a scrappage scheme that won’t expire and will help you find the best price for your scrap vehicle, come to Scrap Car Comparison. We offer a free valuation service, with instant quotes and no obligation, which will find the best buyer from our database to take your old diesel car off your hands and give you the best deal. Better still, we can even organise the collection and payment for your vehicle – if you’re happy with the price – and then you’re free to use the money from your scrapped car however you wish. Simply enter your registration number and postcode into our quote tool and we’ll start finding the best price for your car today.